Here the tempo is moderate and the class has flow. We’re building on the basics and beginning those intermediate exercises, with modifications if needed of course. Those repetitions will increase, those combinations will expand and those dynamic movements will come to play. The progression of exercises will challenge you and your coordination and will leave you with that burn you will feel tomorrow. A combination of TBM’s large equipment and small apparatuses will ensure you’ll never get bored. For the new mummies; Mums and Bubs is your opportunity to stay connected with your changing body. You are able to join this class if you have been cleared by your doctor at you 6 or 8 (caesarean) week checkup. Our highly qualified and highly experienced resident physiotherapist is a welcomed complimentary service to our Tugun Studio. 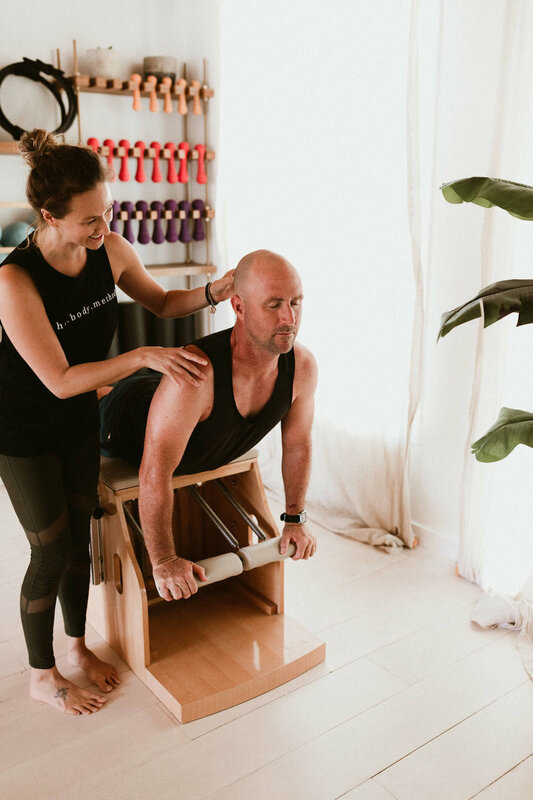 Having an in-house physiotherapist in our Tugun Studio means your individual needs can be treated, then followed up and maintained with our clinical / semi-private Pilates classes.